As evidenced by the success of YouTube, we all love to make and share our own videos and movies. Smartphones have made this even more common as the necessity for a traditional video camera has disappeared. But when we’re out in the world documenting our travels, our footage often ends up shaky. The certain indie charm that comes out of this may be desirable to some, but to others it’s a nuisance, and trading a smartphone for a far less portable camera and tripod setup isn’t always possible or ideal. That’s where DJI’s Osmo comes in. The Osmo is a smartphone-connected camera system that includes a gimbal to remove most of that shakiness (even when we ran with it). You do still have to hold it fairly still, but the device is light enough that it’s still pretty easy to use with one hand. The Osmo connects to your smartphone through DJI’s app, and it was really easy to pair the camera with the phone, which sits firmly in the adjustable cradle attached to the handle and acts as a viewfinder. The cradle expanded to fit an iPhone 6S with no trouble, and the soft rubber bumpers in the cradle are a nice touch to keep your phone free of scratches. The app itself is robust, offering a lot of control over the footage you’re taking. We didn’t delve too far into the options, but the 4K footage we recorded on the default settings, both inside and outside, came out crystal clear. Though the battery lasted plenty long for our test filming, we still found ourselves plugging in the device to charge frequently, and you may find that the joystick that controls the camera’s direction feels a little “floaty” at times, making it a bit tricky to keep it pointed towards the action. Nonetheless, the Osmo is a solid camera, and though it’s a bit pricy at $569 retail, it does its job well. 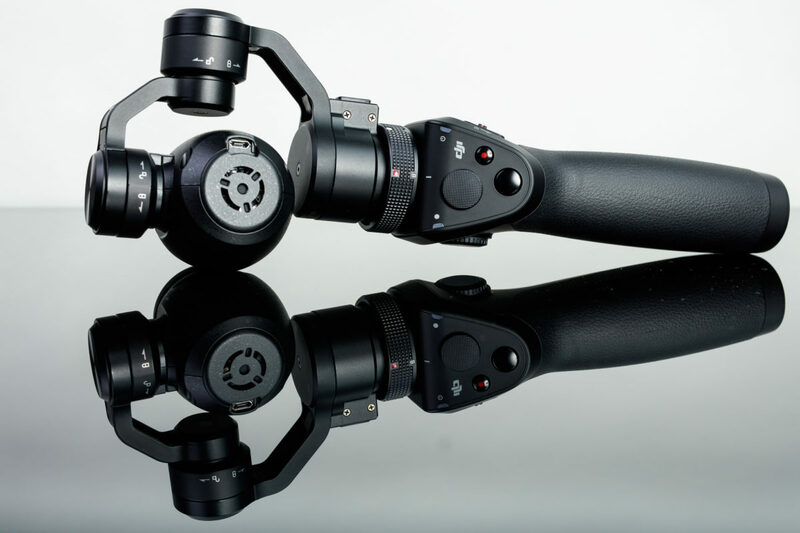 The DJI Osmo is a solid camera that works well and feels good to use. Minimal battery life complaints aside, it's a great product, and if you're serious about improving your phone videography, it's worth the price. Andrew is a long-time staff writer and editor with Innovation & Tech Today. Though he fights crime in his free time, you wouldn't know it to look at him; his alter-ego is as mild-mannered as they come.